All sleepers and fishplates in place. IDEAL FOR HORNBY TRIANG MAINLINE ETC LAYOUTS. SEE PHOTO'S. Hornby ~ made in China. Has both fishplates. Part Number: R8206. Scale / Type: OO Scale. Add to favourites. We will always help you to have a 100% positive happy buying experience. 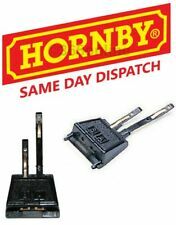 Intended for use with: Hornby Live Steam and Hornby 12 Volt Electric System. GOOD, UNBOXED CONDITION. WANTED: SECOND-HAND COLLECTIONS. TOP PRICES PAID. Ideal for feeding power to sections or power feed on DC layout or DCC Layout. BUY 2 GET ONE FREE !! 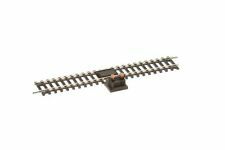 Hornby R8241 Straight Digital Power Track Pieces Single OO Gauge 1:76 Scale. Condition is New. Dispatched with Royal Mail 2nd Class. General Interest. We are here to help!